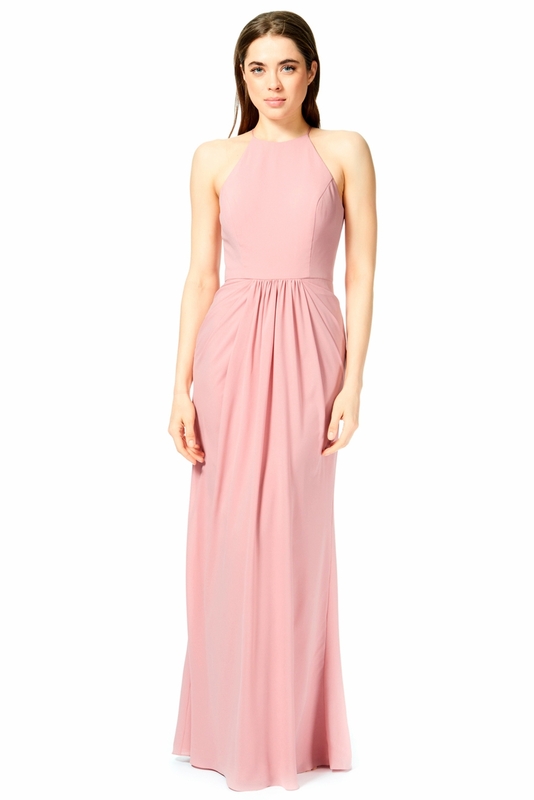 Bary Jay bridesmaid dress style 1851 - Georgette High neckline bodice with princess seams and keyhole back. Maxi skirt with front pleats. Also available in Maternity sizes.